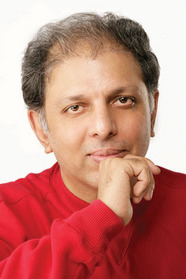 Murzban F. Shroff is a Bombay-born writer. His stories have been published in over 25 literary journals in the U.S., including the Gettysburg Review, the Louisville Review, the Minnesota Review, and the Southwest Review. He has received two Pushcart nominations and is currently at work on his first novel. Like the Oscar-nominated Slumdog Millionaire, Murzban F. Shroff's debut collection of stories, BREATHLESS IN BOMBAY, takes the reader on an unforgettable journey through Mumbai's underbelly.